A lovely versatile wing chair that looks great in all fabrics, plain or patterned, and suits every interior. Available with a choice of feet colours and castor finishes to suit. Show wood: Solid hardwood available in a light, medium, wenge or limed finish, front feet are turned with an anodised or brass finished castor. 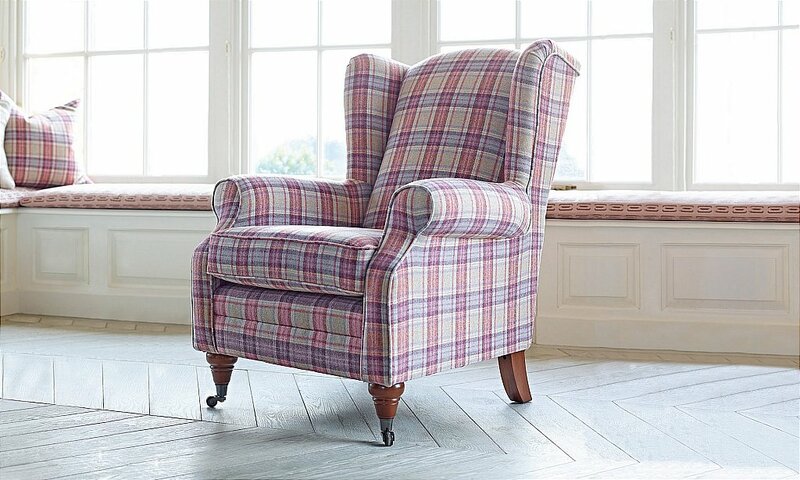 I would like more information about Heather Wing Chair by Westbridge Furniture.